Students will continue to develop the basic elements of communicative competence in both the spoken and written language within a cultural context. DANISH 1A + DANISH 1B would clear the Foreign Language requirement. Meets Thursdays 2:00 - 3:29 PM. Karen Møller directs the Scandinavian Languages program and mentors the Graduate Student Instructors who teach Scandinavian-language courses. She teaches all levels of Danish language classes and courses in Nordic philology, foreign-language pedagogy, Scandinavian emigration and inter-Nordic communication. Her interests are focused on foreign-language teaching and learning, especially related to Less Commonly Taught Languages (LCTL). 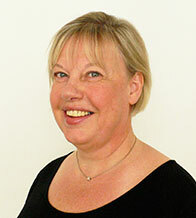 Throughout her career Møller has been devoted to developing her teaching and teacher training to encompass effective new approaches promoting language learning. She has previously worked on introducing Readers Theater and implemented Watcyn-Jones’ Pair Work theory; more recently, she has adapted Visual Thinking Strategies (VTS) for the foreign language classroom and explored the benefits for language teaching in a flipped classroom. She was part of a pioneering team to develop an online and synchronous Distance Learning Program, which shares language classes between all ten UC campuses, a topic on which she gives workshops and presentations. Møller has served as Academic Coordinator with the Berkeley Language Center (BLC) from 1992-1997 under Claire Kramsch as Director, and, since 1996, she has served as Faculty interviewer and Mentor for the Regents’ and Chancellor’s Scholarship (under CUSH).